So when did opposing, criticising or ridiculing religion, any religion, become a hate crime, and by what rational, intellectual justification did it become so? Are Richard Dawkins’ books and lectures hate crimes? Of course not! I have bookshelves full of books which are both critical of religion and pro-religion. On the pro side I have The King James Bible, The Torah, The Qur’an, The Gnostic Gospels, Celtic Religion and others including Pope Francis’ book “Heaven and Earth. No, I’m not a Catholic or a Muslim or a Gnostic. On the anti side I have Dawkins, Nietzsche, Hume, Milton, Huxley, Hitchens, Goethe, Russell, Wenke, Rushdie and many more. Are they all preachers of hate? 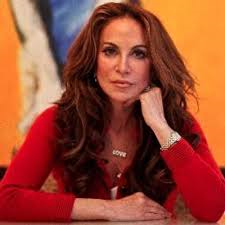 Pamela Geller has joined a long and distinguished list of religious critics : yet she is being singled out by most of the Wests hair-shirt wearing, self-flagellating, guilt-ridden, appeasing, so called progressive media, because she organised a competition of Muhammad cartoons, and why the hell not? The event was attacked by Islamic terrorists hoping to kill Pamela Geller and as many of the artists as possible. Fortunately it failed in its purpose, but sadly a security guard was wounded in the attack. Now, according to much of the media it was all Pamela Gellers fault. Apparently, in our brave new progressive world freedom of speech has become conditional on not offending Muslims. The guilty have become the victims and the victims have become the guilty. Well, I refute that, and just to show support for Pamela I have set up a cartoon page on this Blog, and I intend to enlarge it. Every other Blog should do the same because the newspaper and TV media are far too cowardly to do so.